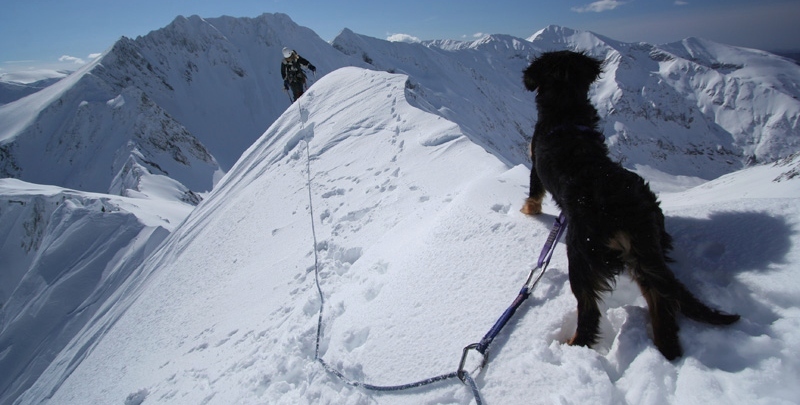 10:00 we leave the skis at the base of the climb and start the first pitch. The climb is good, we are the only team today in the route. 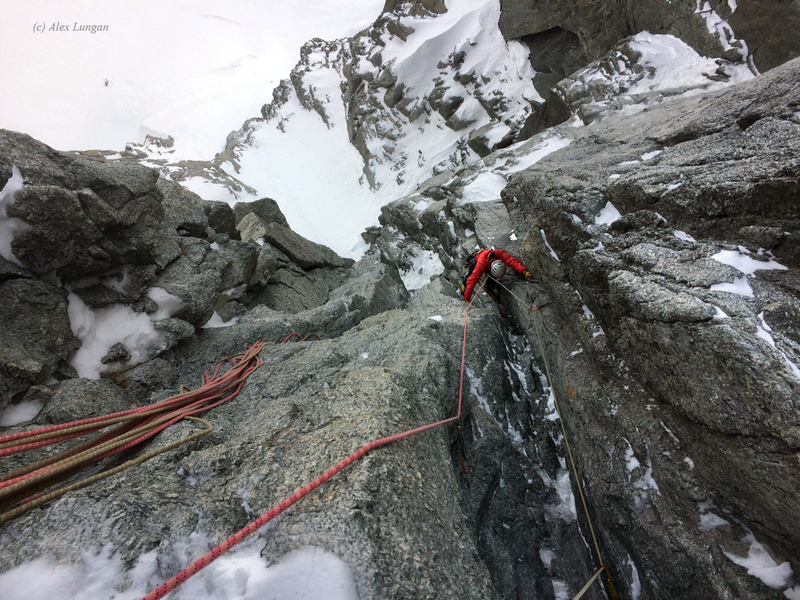 We prefer to climb in small pitches, so there is no too much rope drag. 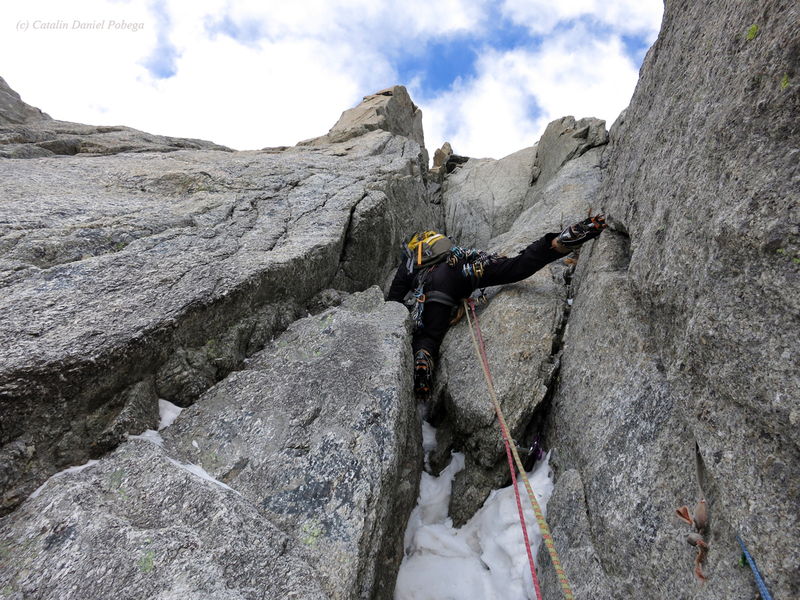 As we switch leading, I find myself leading the crux and I was happy to free it. 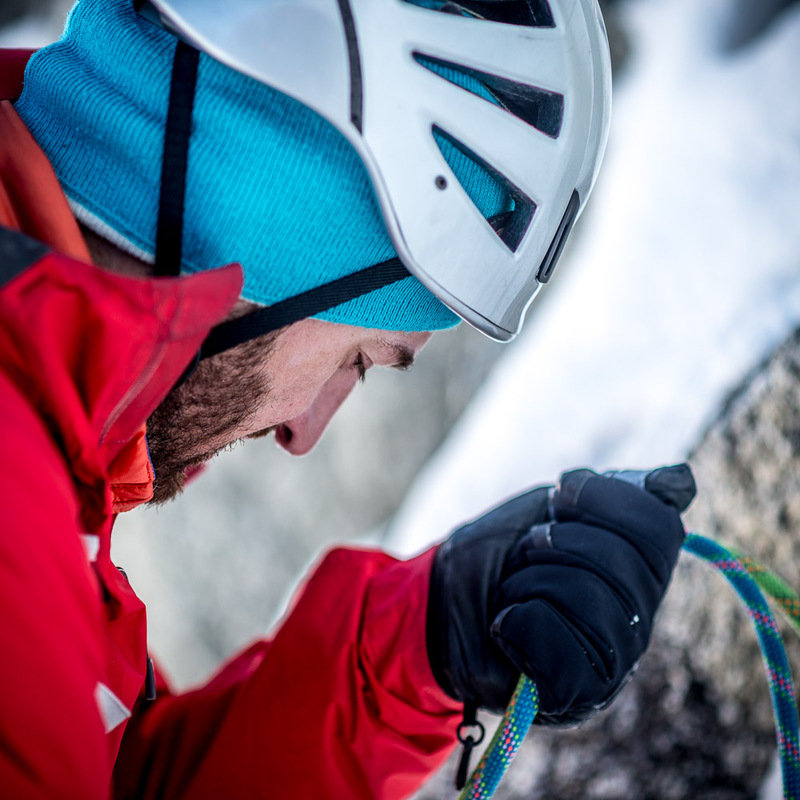 There are 2 insitu pegs in the crux, and you can protect very well with a cam #3. We didn’t have a #4 with us, which is good to have, but not mandatory. 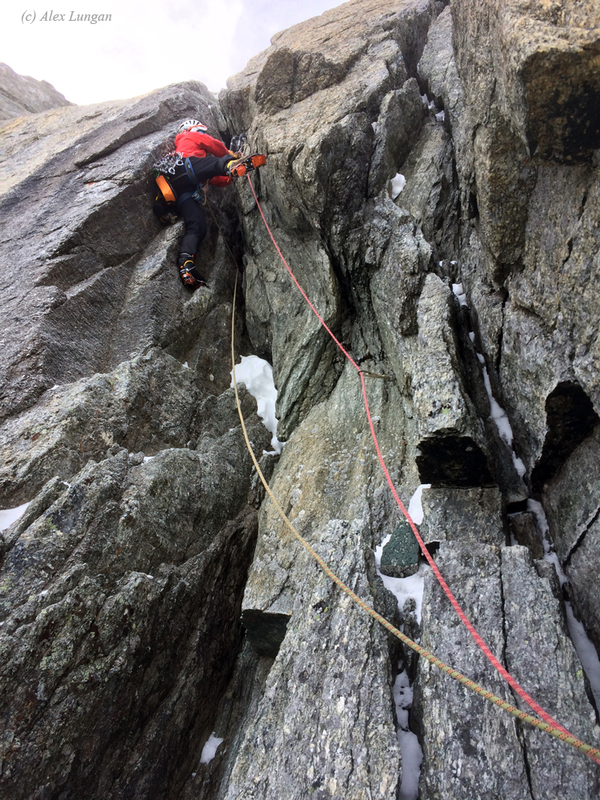 After the crux, Alex climbed one more long pitch which we both found very loose. It is suppose to be much easier with ice on it, but now it was like a dry runnel. 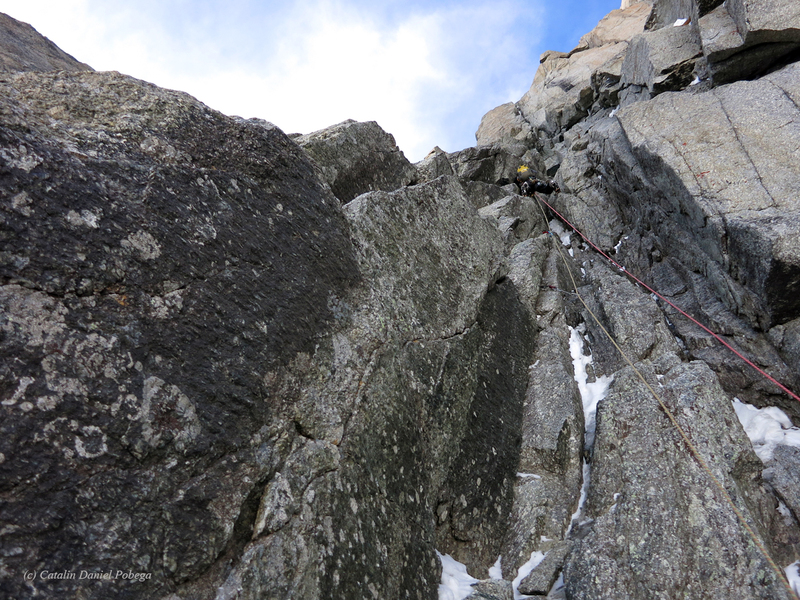 We stopped where the terrain gets low angle and we start abseiling as it was 16:40 already. 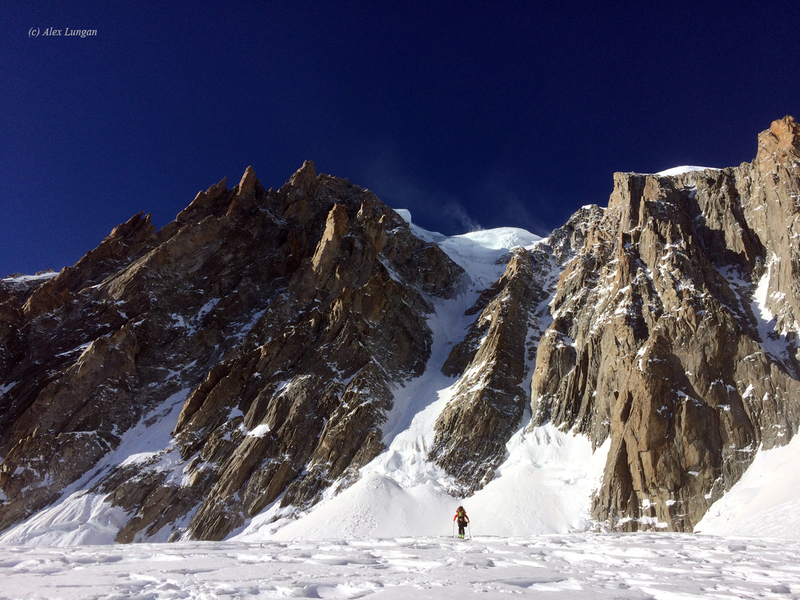 Back to our skis and down on Vallee Blanche to end up a good day out. 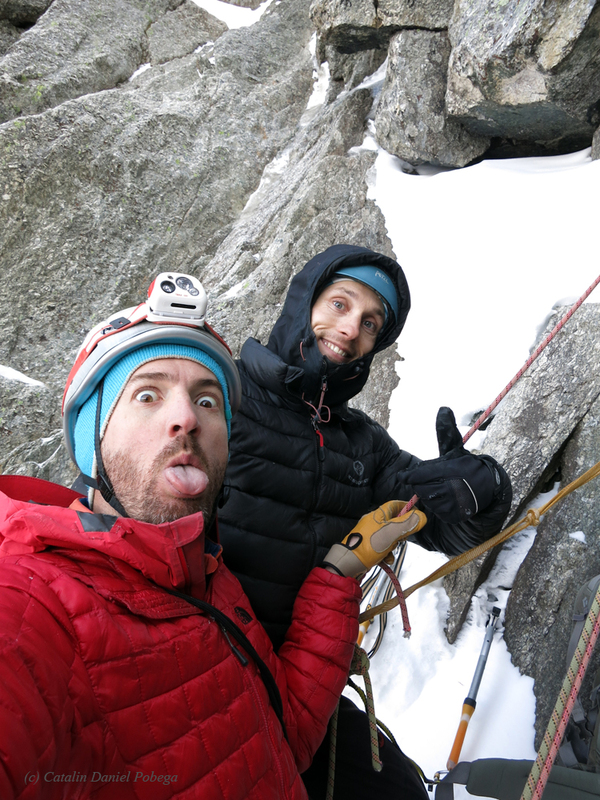 Thank you Alex for a great climb! Gear: Ropes 2 x 60m, Cams #0-#3 (double from #0.3-#0.5), 1 set of wires, no ice screws needed when we did it.